College Park is a splendid neighborhood on the south shore of Port Moody, British Columbia and is considered part of Metro Vancouver. Nearby communities also on the south shore of Port Moody are Glenayre, Seaview and Harbour Heights. The community of College Park is primarily residential and is located along the tree covered eastern slope of Burnaby Mountain. There’s something for every homebuyer in College Park and families find it especially appealing with its great parks including Alfred Howe Greenway Trail connecting the neighborhood to the waterfront of Burrard Inlet and Westhill Park with its outdoor pool. Children in College Park attend schools in the Coquitlam School District #43 which has seven elementary schools, one middle school and two secondary schools in Port Moody. Simon Fraser University is located in neighboring Burnaby. College Park has a very active community associations whose goals are to promote a sense of community, carry out projects to improve the neighbourhood, and to advocate for community interests. Port Moody is the smallest of the Tri-Cities with Coquitlam and Burnaby being the other two. Port Moody has a population of roughly 34,000 and a total area of around 36 square kilometers. College Park is a community which features almost exclusively single-family homes. Homes come in various styles and sizes and listing prices can reach seven figures for a three bedroom, two bathroom home with almost 2,000 square feet. 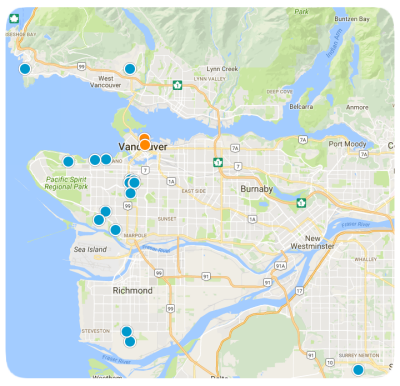 Although condominiums, townhomes, and lots upon which to build or not common in College Park, they are readily available in other parts of the Port Moody area. Contact us today with any questions or to schedule appointment to see any of our exceptional properties in the community of College Park or any surrounding area in Port Moody, British Columbia.